Freediving is breathhold diving. For many it is a sport and a physical challenge. For us here at Discover Your Depths, it is a portal to self discovery, a metaphor for life, and an incredibly powerful tool for self-honesty, growth and development. Humans have been freediving since the birth of time, to forage or hunt for food. More recently it has become a beautiful recreational past-time, and a method of self-expression, and inner exploration. It is also a competitive sport, offering athletes the opportunity to explore their hidden potential. The ocean calls us all - for fun, relaxation and a way to journey into our emotional depths in search of greater freedom. We teach freediving in order to open up the immense potential we all have with us, to open up our minds to the inner depths and strengths we have not yet explored, to open up our hearts to release the hidden fears that hold us back in so many areas of our lives. Of course we teach technique, and safety, and physiology and all the important aspects that everyone needs to become a competent, safe and confident freediver. But we go way beyond that. We are passionate about teaching you and YOU. The ocean is a mirror in which we can see ourselves in greater clarity, with sharper focus and with deeper honesty. It is a space of learning about ourselves as part of creation, humans as one tiny aspect of this great, wonderful Universe. It teaches through the absolute love of neutrality, allowing us to see 'what is' and in doing so, let go of 'what is not'. It is about Absolute Truth. We run programmes to take freedivers from complete beginner to advanced competitive status. However, at all levels we focus on the mental and emotional side of the journey, as it is only through releasing our negative beliefs, and fears, that we can completely relax, and thereby freedive safely and with a feeling of bliss. 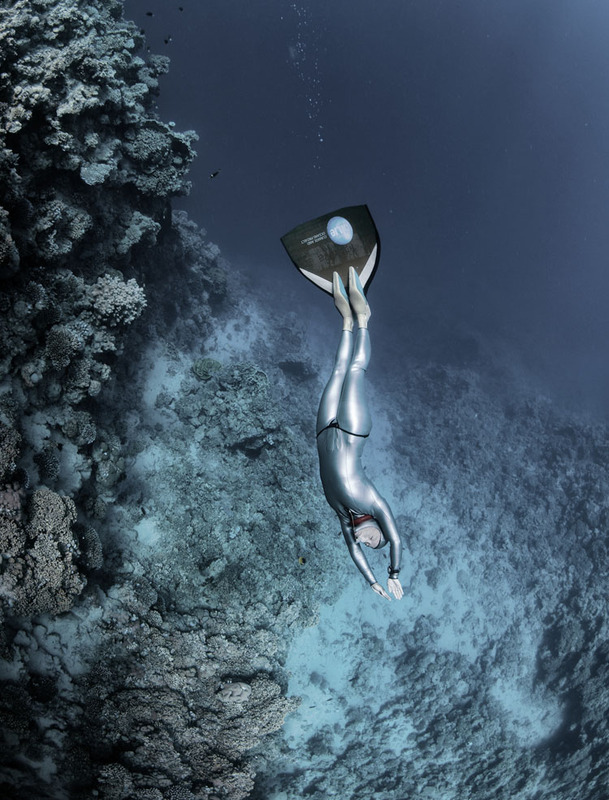 Our freediving programmes are created by one of the world’s top athletes, who based her own success on recognising the power of freediving as a spiritual path. We combine the basics of technique and safety, with a profound understanding of ancient yogic wisdom, to bring the mind under control, so that it begins to serve us in achieving our goals. For us freediving is the greatest teacher. When we freedive we are without breath, our most direct and vital source of life. This triggers all sorts of primal fears, and takes us directly into all the unsupportive behavioural patterns that we develop as survival techniques as children. In our daily lives we keep pushing, not even noticing that we have a raised heartbeat, adrenalin pumping, or tension in our chest, shoulders, neck and jaw as we rush to our next appointment. Once in the water, none of our usual rushing around, pushing harder, or reactive behavioural patterns will work. It is impossible to dive when your chest is contracted, your heartbeat is raised and adrenalin is coursing through your bloodstream. Because as soon as you tense up in the water the dive will feel uncomfortable, stressful, or simply will not be possible. This is why the ocean is our greatest teacher. We can no longer get away with the lies we tell ourselves that the way we are living is in harmony with our authentic selves, in harmony with Nature, every day of our lives.